Μετά την άκρως επιτυχημένη παρουσία του στην gamescom 2016, το For Honor επιστρέφει με την Closed Alpha δοκιμαστική έκδοσή του, από σήμερα και μέχρι τις 18 Σεπτεμβρίου. Στο YouTube μπορείτε να βρείτε και τα τρέιλερ για τα Berserker, Conqueror, Orochi και τον Samurai Hero. 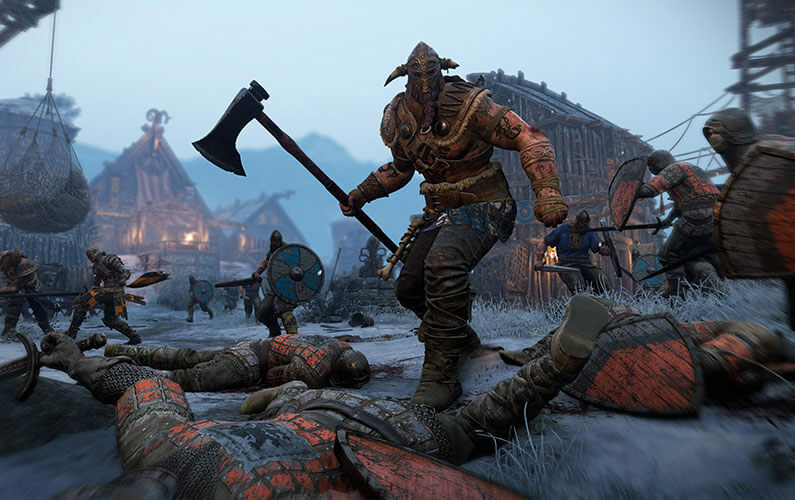 After an award-winning Gamescom, For Honor™ puts players back on the battlefield with the first closed alpha on PlayStation®4 computer entertainment system, Xbox One and Windows PC. From September 15th to September 18th, players from all over the world will join a cruel and bloody battlefield to measure their skills with the steel of their blades. Those still waiting to pledge their sword can sign up to have a chance to participate in the closed alpha at http://www.forhonorgame.com. 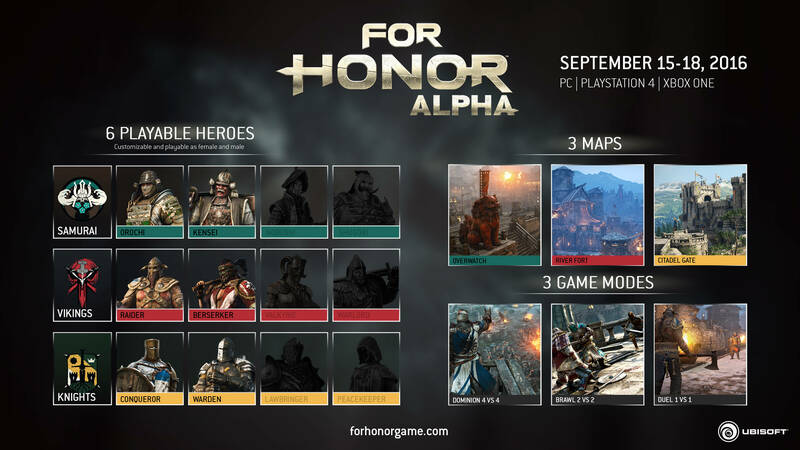 To get the latest news and content about For Honor and have a chance to participate in our upcoming alphas and betas, please register at http://www.forhonorgame.com. For more information about For Honor, please follow us on Facebook at http://www.facebook.com/ForHonorGame and on Twitter at http://www.twitter.com/ForHonorGame.